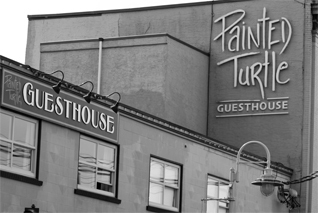 Our downtown, award-winning Guesthouse opened 2004 in a heritage building on the quaint streets of Nanaimo, surrounded by alfresco cafes, shops, galleries & 1 block from the ocean. The Painted Turtle Guesthouse is a unique blend of charming B&B, boutique European inn and upscale hostel. Our full service concierge can also help to book trips, activities and excursions in town or around Vancouver Island. 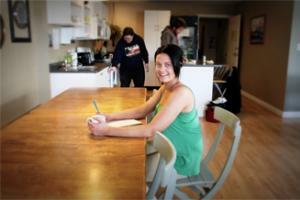 BC Tourism Approved Accommodation Property. • Friendliest staff in Nanaimo!